Many of you know that, in addition to teaching yoga, Nicole Musgrave is a graduate student in the Folk Studies program at WKU. But you may not know that she has also added “ethnographic filmmaker” to her skill set! 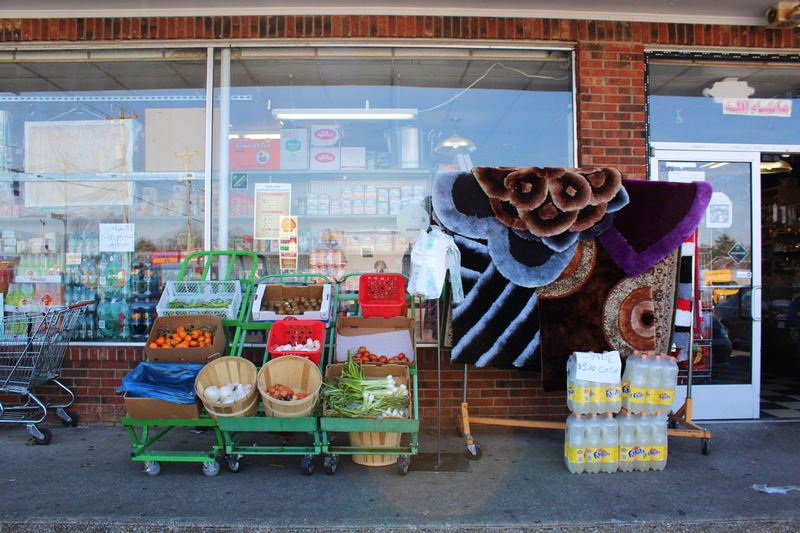 In spring 2017, Nicole produced a short ethnographic film, “Not Just a Grocery Store,” which centers on an Iraqi-owned international grocery store in Bowling Green. This business began in response to the lack of access to food products–such as halal meat–that are specific to the needs of Muslim immigrants and refugees. The maintenance of traditional foodways practices is one way in which immigrants and refugees create continuity within changing contexts. Using ethnographically-based research, Nicole’s film explores how the store and its owners foster a sense of community among the city’s varying immigrant and refugee groups. Additionally, it looks at the important role the grocery store plays as an informal social service center, with the store owners assisting newcomers in navigating the challenges of starting life in an unfamiliar place. To see Nicole’s work for yourself and learn more about the Jasmine International Grocery Store, watch the film on YouTube. This entry was posted in community and tagged Folk Studies, Jasmine International Grocery Store, Nicole Musgrave. Bookmark the permalink.